So I didn’t mention in my previous post that I grabbed some sweets while in NYC. The ones I will talk about here are the macarons I picked up on St. Marks at Macaron Parlour. We just happened to be walking by and decided to pop in. I got the following flavors: 2 pistachio, tiramisu, party time, Earl Grey and candied bacon with maple cream cheese. Pistachio is my favorite, which is why I got two. Wish I hadn’t though since they were just okay. I don’t think anyone does pistachio as well as Ladurée. The tiramisu was good but not mind blowing and the party time was surprisingly good since I didn’t have high expectations. Party time is described as “salted milk chocolate & dulce de leche.” It was good combination but I wouldn’t say they had the two distinct flavors. My second favorite of the bunch was the bacon one. Come on, it has bacon. What’s not to like? And I’m not a huge fan of maple, so that’s saying something! Finally, my favorite – Earl Grey. It’s a milk chocolate infused with Earl Grey tea. 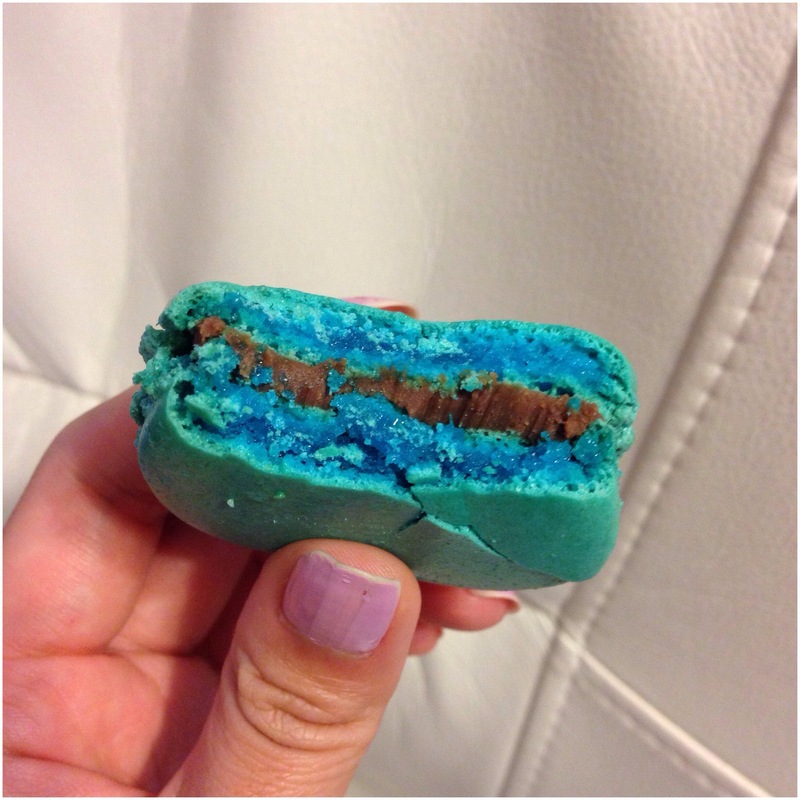 It’s the most beautiful blue color – like robin’s egg blue on the outside and when you bite into it, the soft center is more peacock blue. Not only, was it easy on the eyes but it had a vibrant and outspoken Earl Grey tea flavor. I loved it. Hope you enjoyed this post!! !